Spurs and Dortmund enter the tie with a long list of injuries to their key players but look to take an advantage into the second-leg. Tottenham Hotspur welcome Borussia Dortmund to Wembley Stadium on Wednesday in the first leg of the last 16 tie of the Champions League. Spurs come into the game after a 3-1 victory against Leicester City on Sunday, whereas, Dortmund suffered a late capitulation against TSG 1899 Hoffenheim. Both sides go into the clash hosting a long list of injuries to key players but both will still be looking to take an advantage into the second leg. Spurs and Dortmund have met numerous times on both European stages in the past few years. Last season the two were drawn in Group H alongside Real Madrid and APOEL Nicosia and it was Spurs who enjoyed the two meetings. At Wembley, Spurs claimed the points in a 3-1 victory with goals from Harry Kane and Heung-min Son sealing a vital three points. 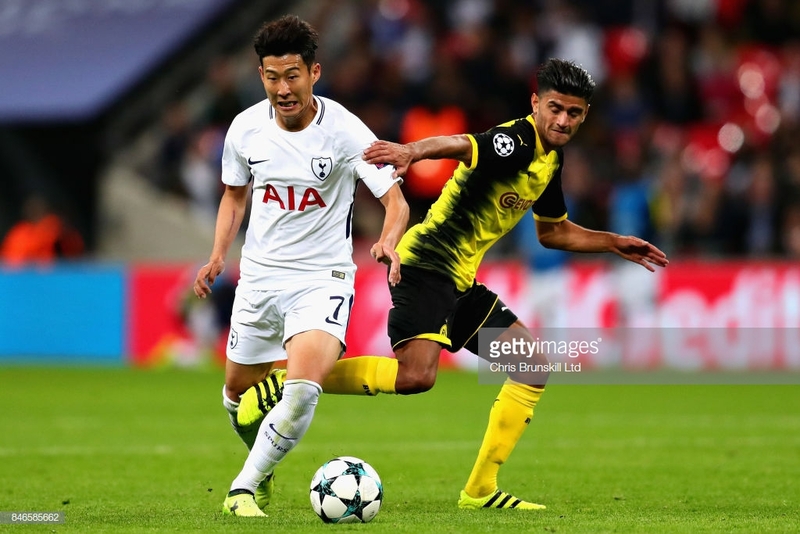 Despite going behind in the reverse fixture at the Westfalenstadion, Kane and Son came to Spurs' rescue in the second half to take another three points back to London and confirm first place in the group. Despite Spurs taking maximum points from the German side the two ties were far from comfortable for the Lilywhites. One thing which is certain is that BVB will pose a greater threat than they did last season as Lucien Favre's side currently sit top of the Bundesliga. Both sides have a long list of injuries going into the tie with key players from both camps affected. Harry Kane and Dele Alli remain out of contention as they continue their rehabilitation from their respected long term injuries. Danny Rose missed the open training session on Tuesday following a shin wound picked up in Sunday's victory but will be assessed ahead of the game. Ben Davies will also miss out but Eric Dier and Erik Lamela have returned to the squad. As for the visitors, Marco Reus, Paco Alcacer, Julian Weigl and Łukasz Piszczek all miss the clash. Weigl misses the clash through illness which also affected their manager on Sunday forcing Farve to miss the team training session. Following the round of 16 draw in December this clash appeared to be one of the more even matchups. However, Spurs' injury crisis suffered in January appeared to tip the balance in the German sides favour. Yet the recent news of Dortmund too suffering a small injury crisis of their own has brought the clash back to an even match with both sides set to field weakened sides. With the possibility of Danny Rose not making the squad it is likely Jan Vertonghen will fill in at left back forcing Mauricio Pochettino to play Davinson Sanchez and Toby Alderweireld at centre-back. "I’m always available for any position where the team needs me. Obviously, there are some difference between the two positions," said Vertonghen. "As a centre-back and a left-bac,k I try to do it my way. I’m a different left-back to Danny Rose and Ben Davies. I played there for so many games for Belgium in the start of my career." With Jadon Sancho proving the visitors biggest threat Spurs are unlikely to start the inexperienced Kyle Walker-Peters after his shaky game at the Nou Camp in December. "I’ve been speaking to some of the guys who were with him with the national team. He came there as a young player with maybe not too many expectations but he’s got a lot of goals and assists. He’s done well," added Vertonghen.